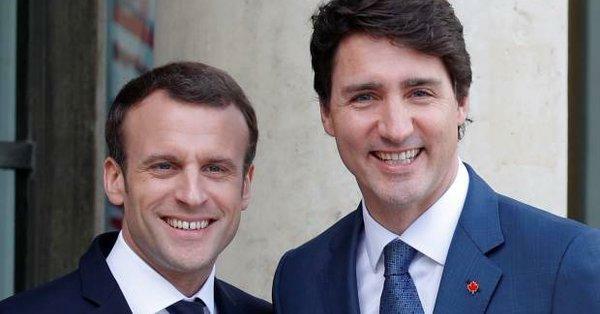 In comments made alongside Canada PM Justin Trudeau in Ottawa, French President Emmanuel Macron said that no head of state is "eternal” and that he stands ready to work with the six other Group of Seven members if U.S. wants to stand alone. Ahead of what is shaping up as the most confrontational G-7 meeting in history (the first meeting took place in 1975), we reported that Germany chancellor Angela Merkel already was setting the ground for the Toronto showdown among the world's top political leaders - where Trump will also be present - vowing to challenge Donald Trump on virtually every issue, from trade to climate, and warning that the lack of room for compromise means leaders may fail to agree on a final statement, an unprecedented event at a summit of the world's 7 most advanced nations. 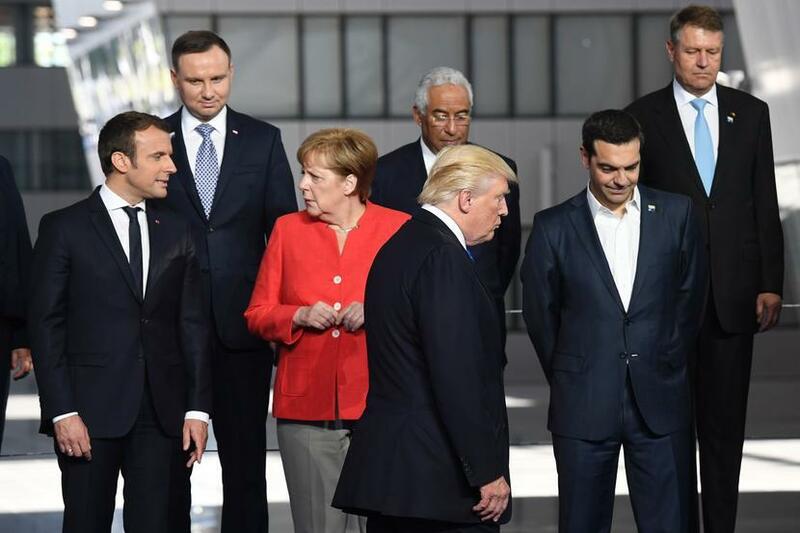 Speaking before German lawmakers on Wednesday, two days before the G-7 summit starts in Canada, Merkel said that Trump’s "America First" doctrine shows that “we have a serious problem with multilateral agreements." She added that failure to reach common ground could lead to the highly unusual step of host Canada issuing a concluding statement not agreed by all participants, according to Bloomberg. Merkel said she plans to speak to Trump specifically about trade at the G-7. “There will be some controversial discussions” at the gathering, she told lawmakers. Germany will make sure that what was agreed on trade and climate at the last G-7 summit and at a G-20 meeting will be maintained in joint statements from the two-day meeting in Quebec "if any are agreed." Commenting on Merkel's warning yesterday, we said that "we doubt Trump will be too "burned" by that statement." And according to overnight newsflow, that is indeed the case and that if Merkel was hoping to "soften" Trump up by warning about the upcoming showdown between the US and the rest of the world, she made a mistake, because wires report that President Trump is said to be planning on adopting a confrontational tone at G7 in response to the other 6 nations collectively pressuring him regarding tariffs. Which, of course, is hardly a major discover: after all "adopting a confrontational tone" is what Trump does, period. However, now that it has been formalized, this may actually be a G-7 meeting - traditionally boring and slow-moving - worth watching closely, if only for how the world's 6 most advanced nations + America will try to contain the fall out from what will likely be the first documented failure of globalization. White House economic adviser Larry Kudlow tried to play down the tension on Wednesday, describing it a “family quarrel" and telling reporters that “Trump is trying to fix this broken system,” adding that "He’s sticking to his guns. He’s going to talk to them. The lines are open." Good luck: "The meeting this week will be by far the most dysfunctional G-7,” said Ian Bremmer, president of the Eurasia Group, a political-risk consulting firm. "The old order is over. What we are fighting over now, as the new order emerges, is whether the U.S. wants to have the most important seat at the table or not. Right now the answer is no." We look forward to the fallout from the acrimonious meeting, and how the market spins as bullish this particular instance of the US and the rest of the world drifting further apart.